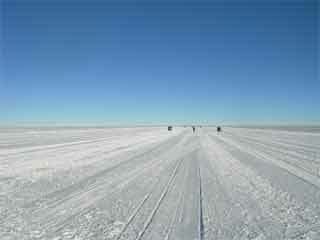 The goal was to shift the active skiway south of the protruding bump created by the dark sector road. The project actually started the previous summer when the tail of the crashed 917 was dug up. 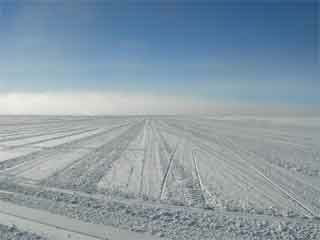 The downwind end of the original skiway was prepped for the first Baslers, with the flag positioning adjusted more than once. 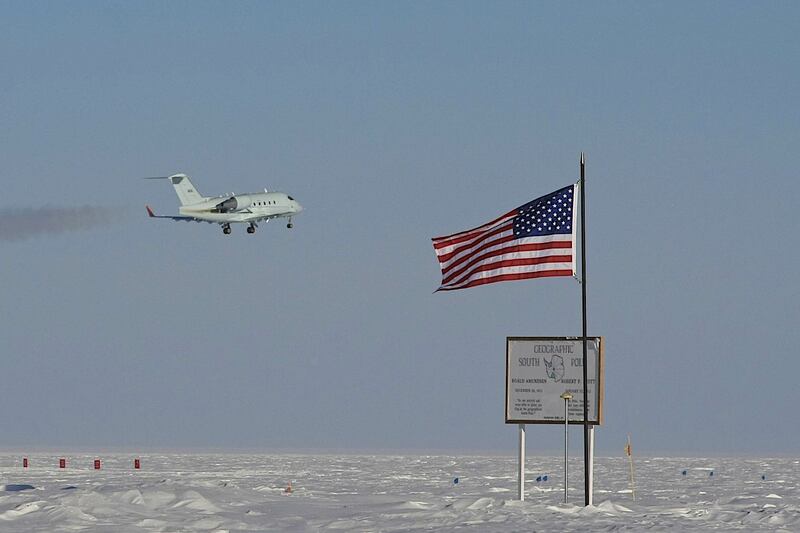 Then the skiway was "shot" by this Air Force/FAA Challenger 601 aircraft on 23 October--the first time Antarctic landing strips have been checked out by this type of aircraft--in the case of Pole this involved the GPS coordinates which are now used in lieu of the retired TACAN unit. After the first Basler flights brought in surveyors and more equipment operators, the rest of the skiway was prepared and the flags--mostly new this time, were laid out. 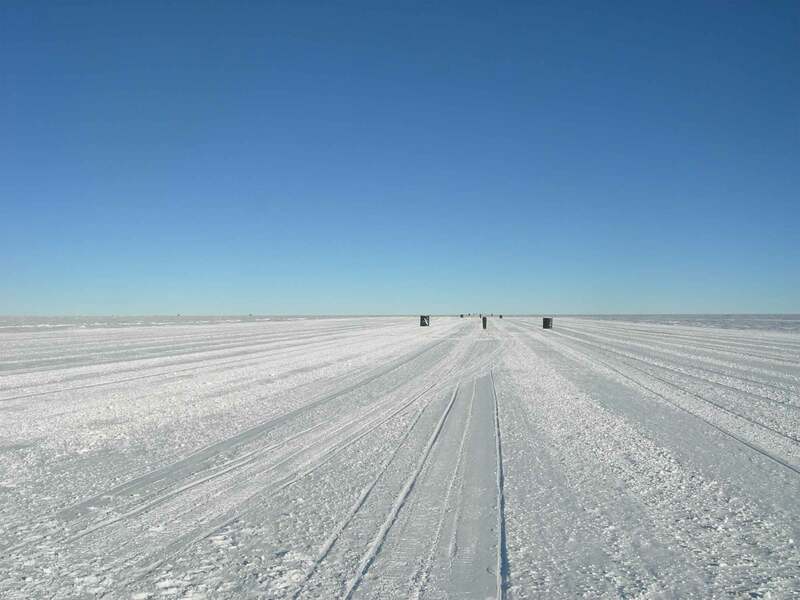 The end result--the skiway had been shifted 4650 feet to the south-southwest, and narrowed from 250 to 220 feet, with the centerline shifted 15 feet towards the station. Two links to media coverage--one is an Antarctic Sun article, and the other is from the Aero News Network--it focuses more on the aviation aspects of the FAA inspection flight. Looking upwind...where the new approach markers are placed near the center of what used to be the skiway. And looking downwind toward the 20 end...which is somewhere behind the plume of power plant exhaust.